Who Lives Here? What do they Say? This clever soft fabric book is the perfect travel companion for your child. It zips up all the way round to keep all the pieces within and features a soft handle which is easy to hold for little hands. 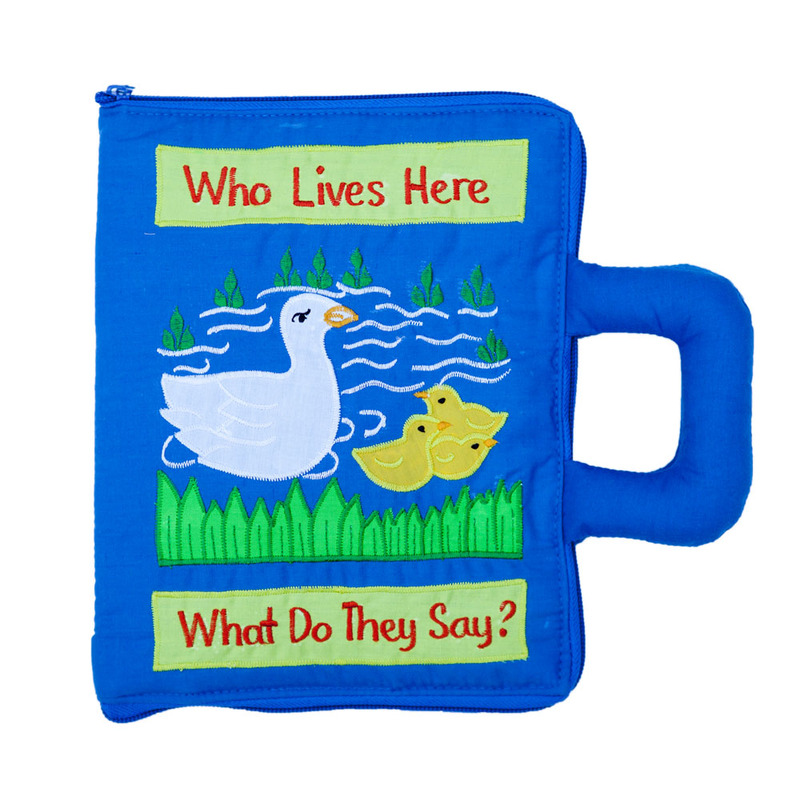 The Who Lives Here Blue Soft Book Bag features 8 soft pages each with a removable animal (secured with Velcro), it's name and a few habitat details embroidered, and a 'lift-the-flap' "It Says" tab revealing the corresponding animal sound embroidered underneath. Your child will be able to make up their own stories with the colourful characters and even swap and change them for lots of fun! Animals include: cow, seal, dog, duck, bird, frog, pig and sheep. Innovative, educational and so much fun. The book bag measures approx. 22cm wide and 17cm high plus handle approx 6cm high.